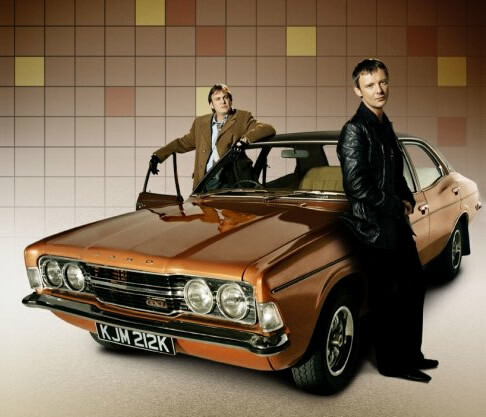 This is the story of Sam Tyler (John Simm), a detective in 2006 who, after being hit by a car, wakes up in 1973. Is he mad, in a coma or back in time? In the last 15 episodes we have seen him deal with archaic policing practices, culture clashes, and the stress of being trapped ‘on another planet’, and his fruitless attempts to return back home. This show is the very definition of ‘great drama from the BBC’. Your slower then a spastic in a magnet factory! Whilst each show opens on the premise that Tyler may be mad, travelled back in time, or in a coma we are always lead to believe it’s the later. Wrongly administered drugs cause him to fall ill, a mental patient who tries to pull the plug causes all the lights to go out in 1973 etc. However, I’m wondering if we are being lead up the garden path a bit here, and having watched interviews with the cast, I’m really looking forward to see what’s really happened. Finally, it’s great to see that the writers are limiting this drama to just the two series, rather than string it along. Whilst it is always sad to see such a great programme come to an end, I’m of the mind that it’s always much better go out with a bang, than let it wither and die—a mistake that’s been made by countless other dramas of recent memory (Ballykissangel, Monarch of the Glen, The West Wing….). As with Faulty Towers, and The Office, limiting a series to a length that actually benefits the story rather than the production companies bank balance is always a sign of considered production values, and I for one would like to see others follow.